An exit in the showers, a tunnel and a nearby house all played roles. Federal investigators are reading into every aspect of Joaquin “El Chapo” Guzman’s latest prison break as they intensify their search for the Mexican drug lord. There was a gap of roughly 50 minutes between the time he was last seen Saturday night, when a prison guard gave him his daily medicine, to the moment when he was no longer visible on the internal video camera system, according to the Mexican national security commission. Monte Alejandro Rubido, the head of the commission, said Sunday an alert was sent out at 8:52 p.m. and when guards went to his cell, they found a small opening in the shower area of his cell. Photos have been released from the apparent escape route, but not inside the shower facility where an opening that is 2 square feet is believed to be through which the kingpin escaped, Rubido said. 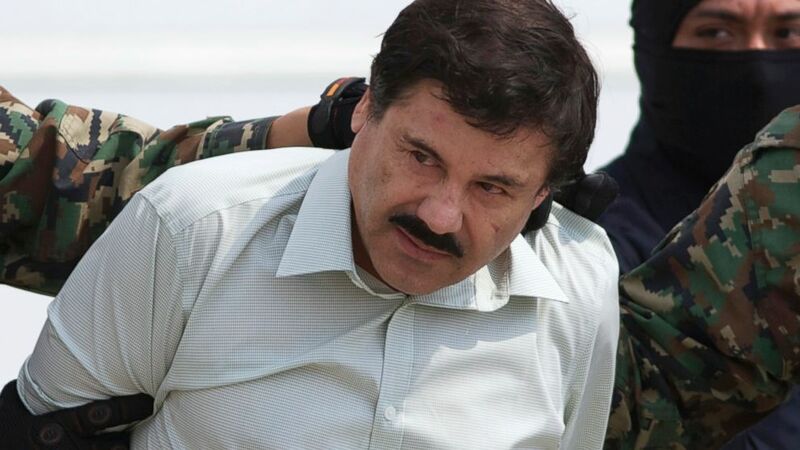 (Eduardo Verdugo/AP Photo) In this Feb. 22, 2014, file photo, Joaquin "El Chapo" Guzman, head of Mexico?s Sinaloa Cartel, is seen in custody in Mexico City following his capture in the beach resort town of Mazatlan. (Attorney General's Office/Reuters) Mexico's Attorney General Arely Gomez Gonzalez looks into the entrance of a tunnel connected to the Altiplano Federal Penitentiary that was used by drug lord Joaquin "El Chapo" Guzman to escape on the outskirts of Mexico City, July 12, 2015. From there, a ladder led to a tunnel that Rubido said was made out of PVC pipe that was just about as tall as Guzman himself, roughly 5-foot-6. The tunnel extended for about a mile underground and featured an adapted motorcycle on rails that officials believe was used to transport the tools used to create the tunnel, Rubido said. The photos show the tunnel extending into a home outside of the prison's property and there was a similarly small exit found in the floor of one of the building's rooms where the drug lord is believed to have left the tunnel and entered the free world. (Manuel Velasquez/Anadolu Agency/Getty Images) Exterior view of a half-built house used by "El Chapo" to escape from prison near the maximum security prison of Altiplano in Almoloya de Juarez, state of Mexico on July 12, 2015. 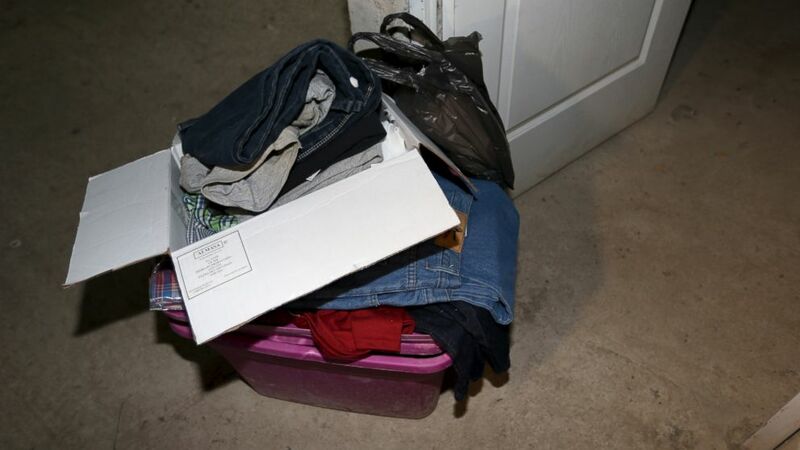 (Attorney General's Office/Reuters) A box with clothes is seen at a property where the entrance of a tunnel connected to the Altiplano Federal Penitentiary used by drug lord Joaquin 'El Chapo' Guzman to escape was found, on the outskirts of Mexico City, July 12, 2015. As "World News Tonight" will report this evening, the half-built house in the Mexican cornfields from where Guzman is believed to have emerged was only under construction for the past five to six months, according to local gas delivery men who supply gas to all the homes in the neighborhood. The developers of the apparent escape house never requested any gas. But the building equipment never seemed unusual because the house was under construction. 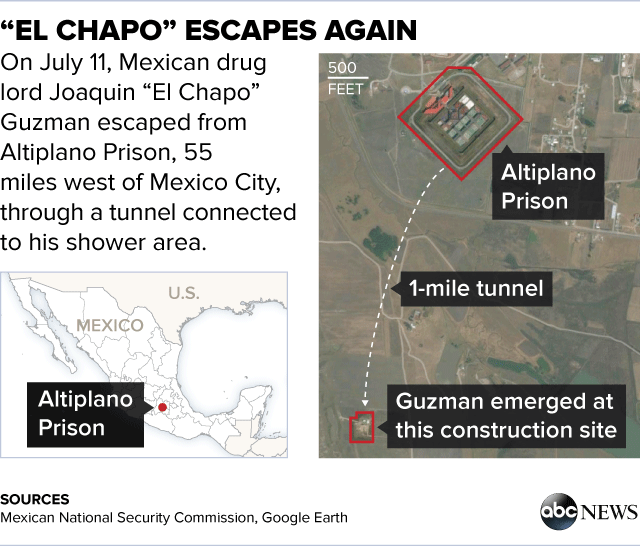 There have been no reported sightings or publicized leads in the first day and a half of searching for Guzman, making this his second-known escape from a maximum security prison in Mexico. 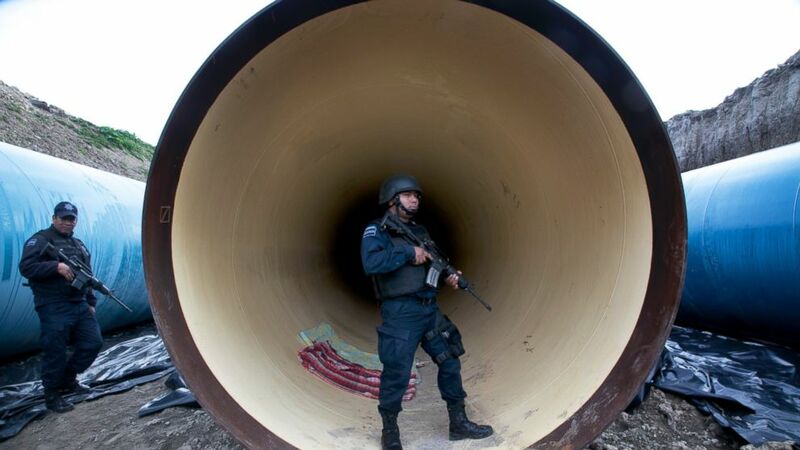 (Marco Ugarte/AP Photo) Federal police guard a drainage pipe outside of the Altiplano maximum security prison in Almoloya, west of Mexico City, July 12, 2015. The first incident came in 2001 when he escaped from a different prison, and while few details have been confirmed in that case, he is believed to have gotten help from prison guards. 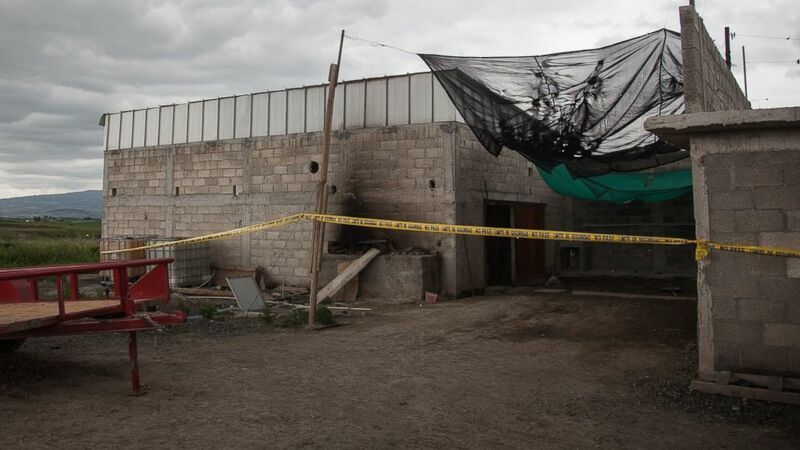 On Saturday night, 18 guards from the Altiplano maximum-security prison in Almoloya de Juarez, where the most recent escape occurred, were being questioned.